If you’ve ever owned a treadmill, you know they can be loud. But running in peace and quiet doesn't have to be a farfetched dream. 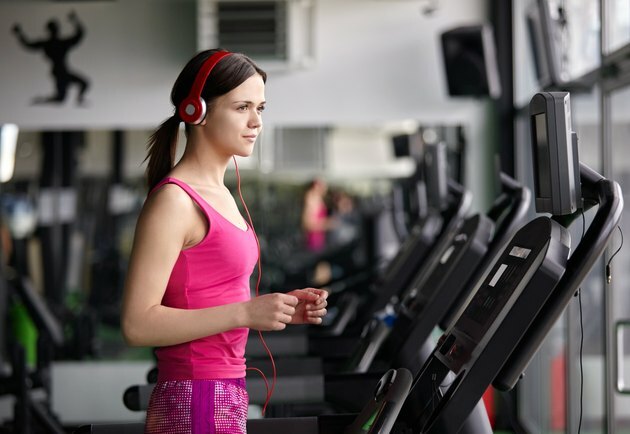 Quiet treadmills do exist. In 2014, some consumer websites compiled a list of the best and noted which ones also put an emphasis on low sound. Sole Fitness treadmills were rated No. 2 in 2014 by TopConsumerReviews.com. According to its research, consumers boast about the quiet engines of the Sole Fitness. In addition, the website says the machine comes with a reliable warranty and return policy. LifeSpan treadmills, specifically the TR1200i model, were noted in SmartReview.com for their quiet engines. That site listed LifeSpan treadmills as No. 1 for 2014. It also inclines, has a heart rate monitor, and a USB port so the user can log his stats. Smooth Fitness treadmills were rated No. 3 in 2014 by TopConsumerReviews.com. The high-end models have an iPod or MP3 dock, a sound system and a TV -- all of which can be heard better thanks to its quiet engine.